At most dental practices, having a dental crown or veneer fitted means two visits to the dentist; the first for examination and impressions to allow manufacture of the restoration at an external dental laboratory, and the second when you are recalled to the practice to have it fitted. The waiting time between the taking of impressions and the final restoration is typically around two weeks. This can be very inconvenient for patients because it means two dental visits as well as the need to fit temporary crowns or veneers which may not be as comfortable as the finished product. Here at Quarry Rise Dental Centre, we offer our patients the chance to have their dental restorations produced in just one visit. Using our advanced CEREC technology, we can produce restorations at the practice whilst you wait. CEREC (or to give it its full name, Chairside Economical Restoration of Esthetic Ceramics, or CEramic REConstruction) is a computerised system that enables us to take a 3D digital impression of your mouth and feed this into a computerised milling machine. This removes the need for manual impressions which some patients find uncomfortable. The new crown or veneer is then milled from a single block of ceramic to produce a custom restoration for your tooth while you wait! The whole process takes approximately one and a half hours and you are welcome to relax in our waiting room whilst the restoration is made. Once this has been done, we will complete the procedure by attaching the restoration to your teeth using a special dental adhesive. This ensures that it remains firmly attached to the prepared tooth. As an additional benefit, a number of studies have indicated that crowns and veneers produced using CEREC are longer lasting and stronger than those prepared in a traditional way at a dental laboratory. It is also unnecessary to wear temporary restorations due to the short period of time between tooth preparation and the final fitting.  For more information about dental veneers, crowns or CEREC in general, please call Quarry Rise Dental Centre in Cheam on 020 8642 3739.